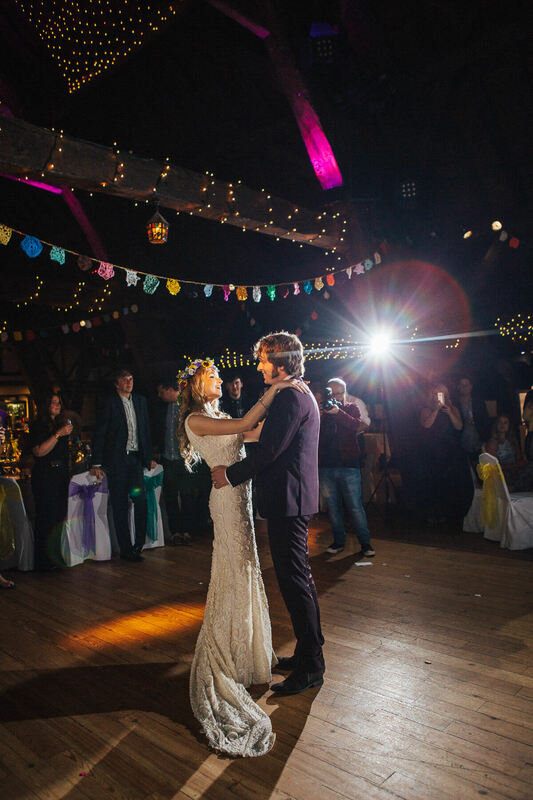 After meeting Laura & Dylan at their magnificent home, I knew that their Rivington Hall Barn wedding was going to be a special one. 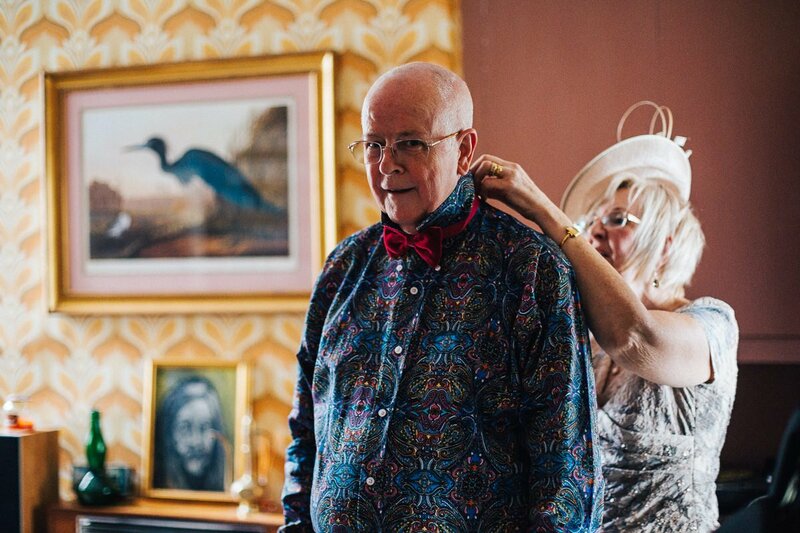 It felt like I’d walked into a time capsule of the 70s as I entered their Victorian home. 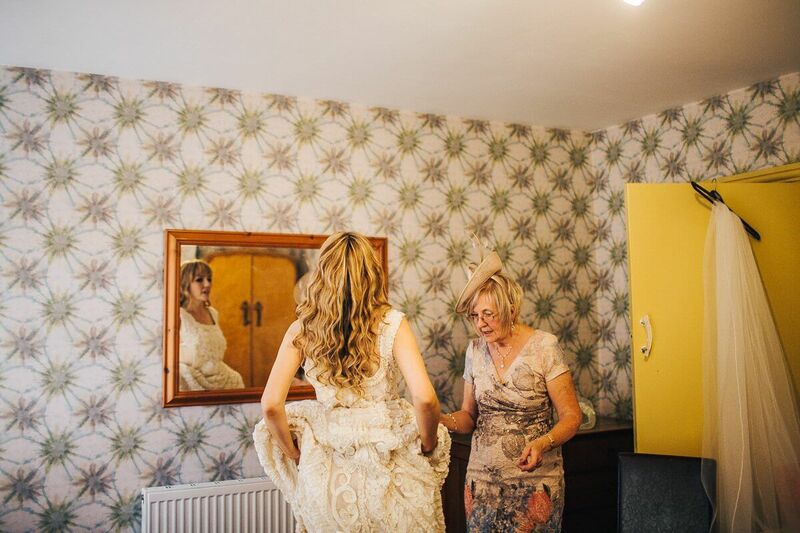 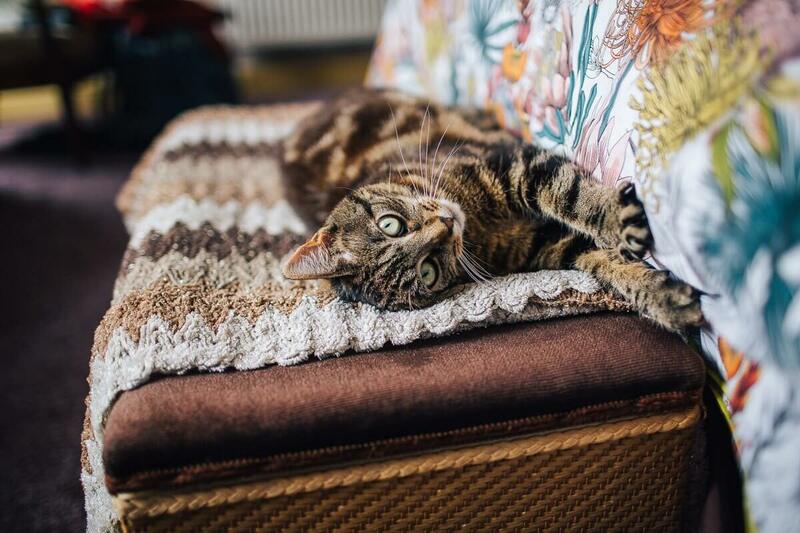 The rooms were decorated with beautiful patterned wallpaper, retro furniture and ornaments. 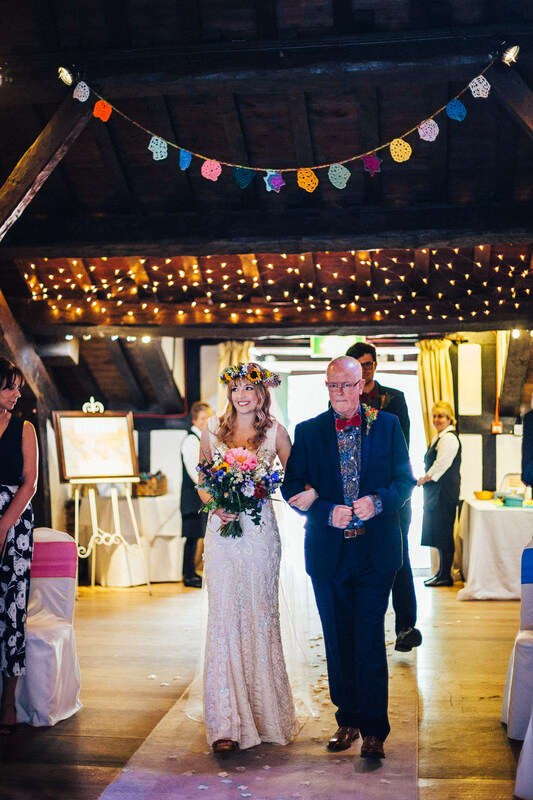 I also discovered that Laura is a talented artist, winning numerous awards with her work featured in The National Portrait Gallery in London. 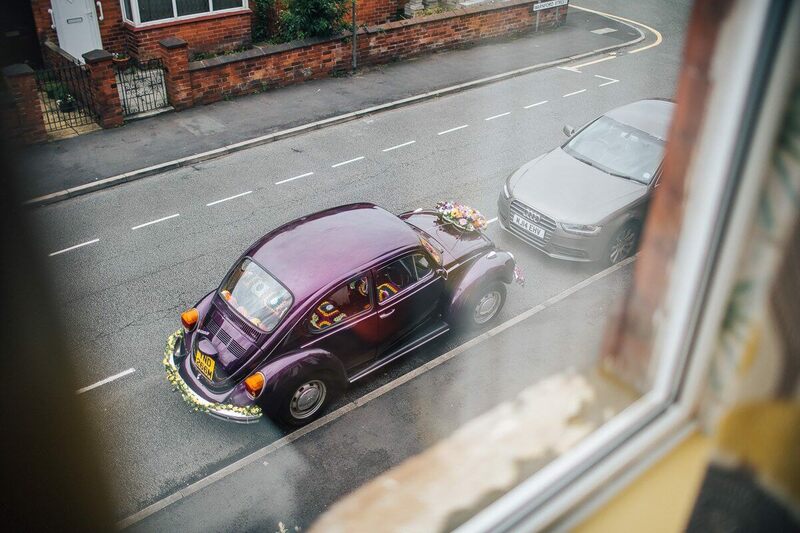 It was a huge honour they’d asked me to capture their special day! 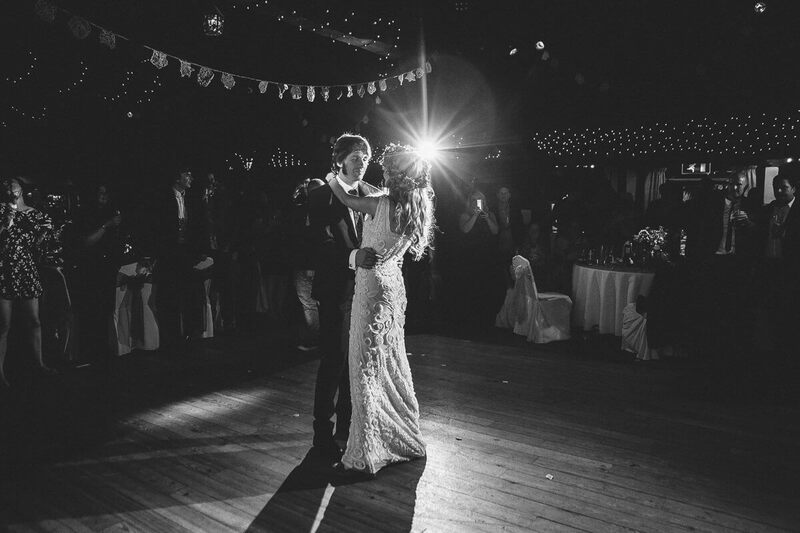 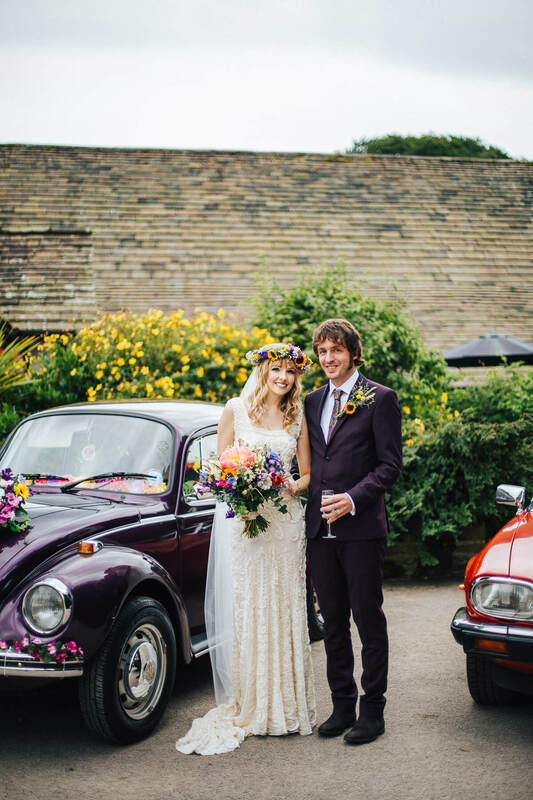 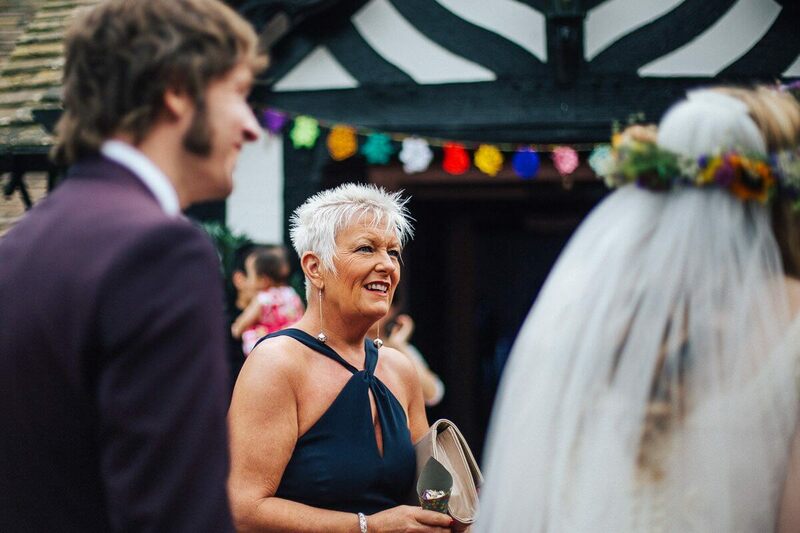 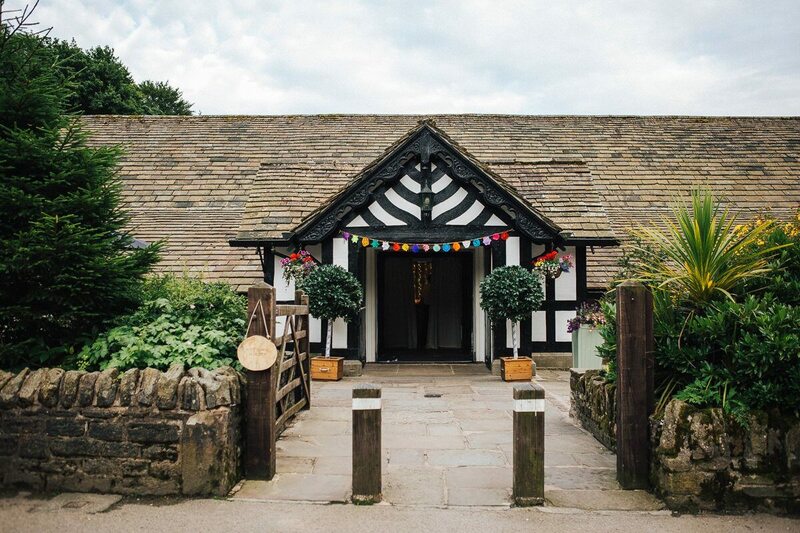 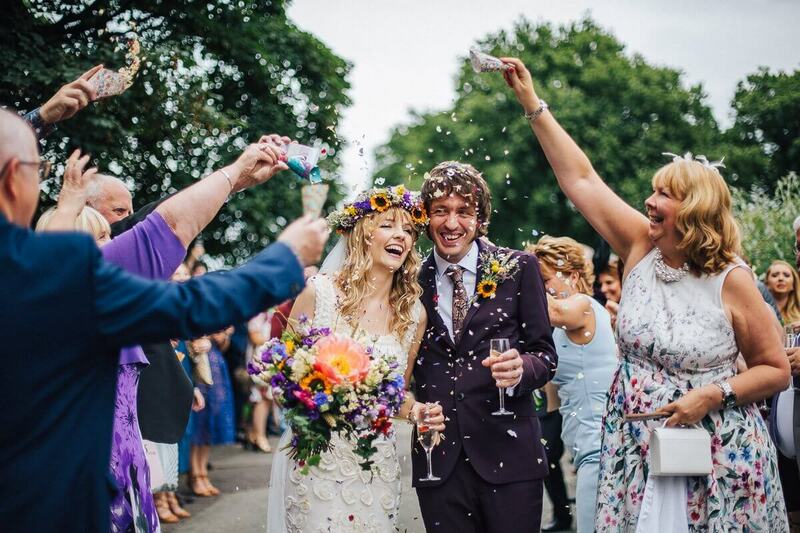 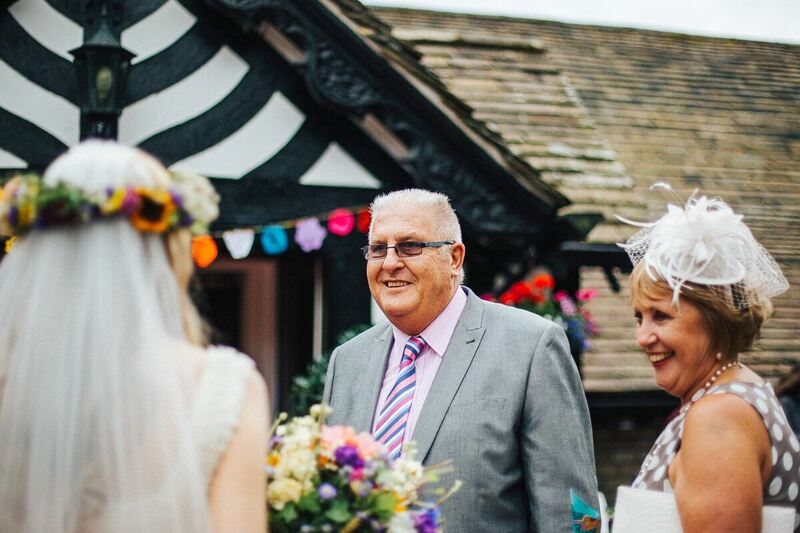 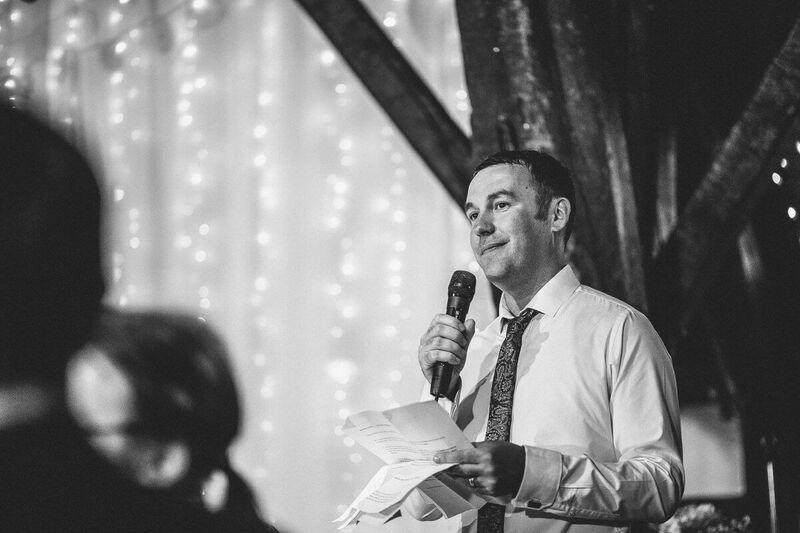 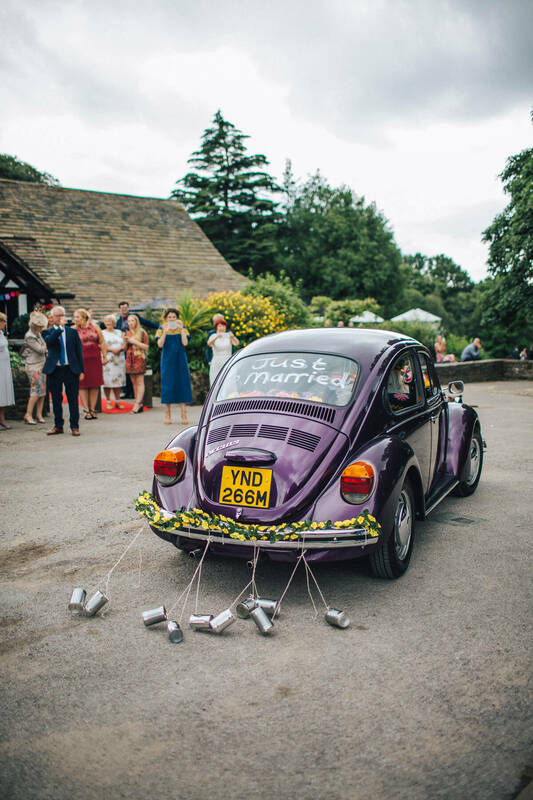 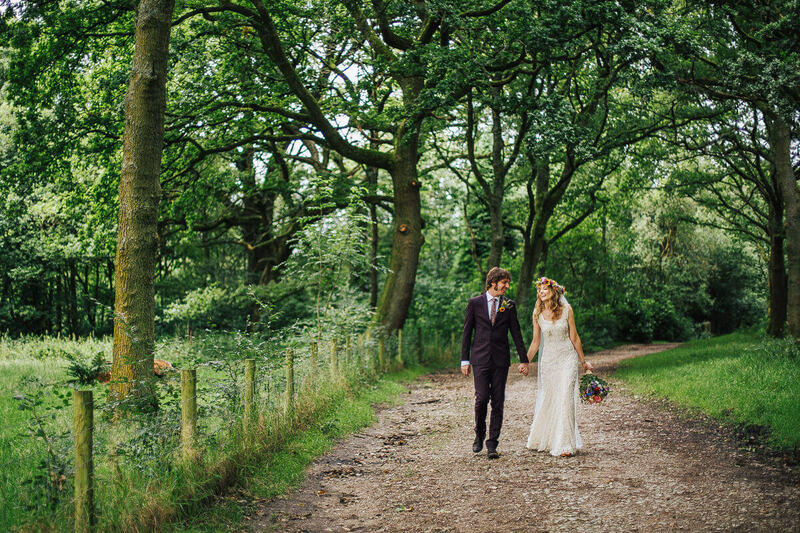 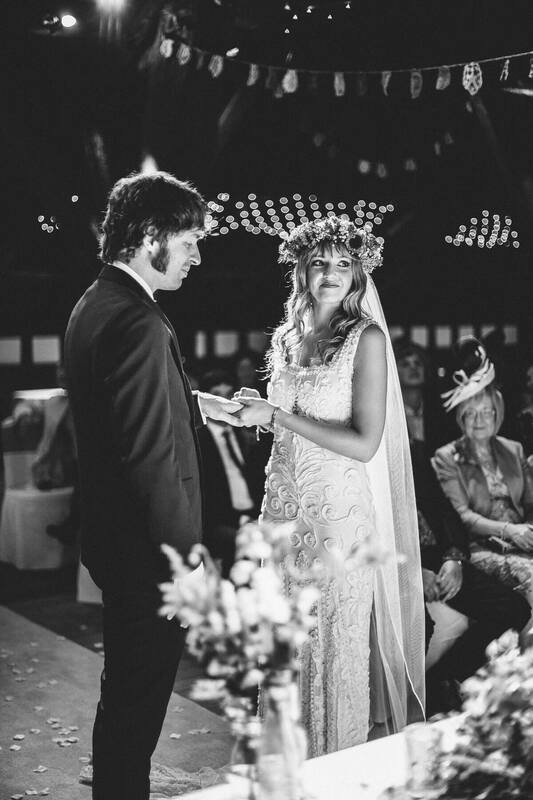 The wedding was planned at Rivington Hall Barn, a stunning Grade II listed Lancashire venue. 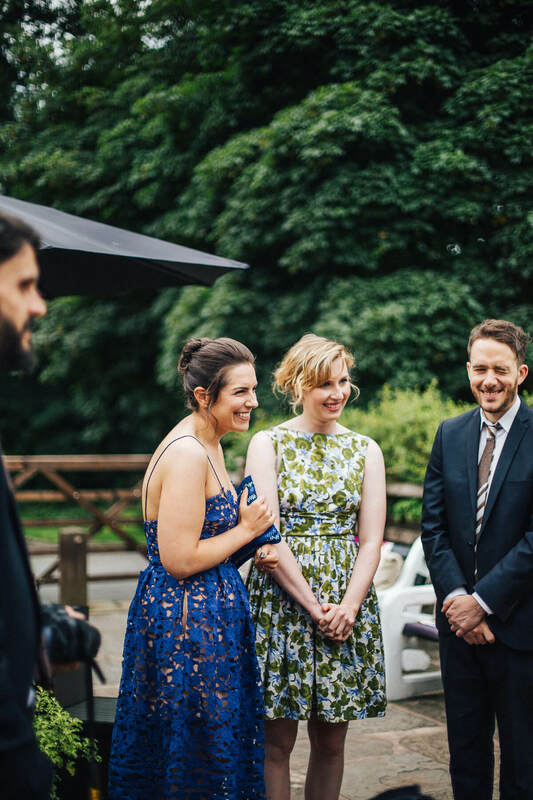 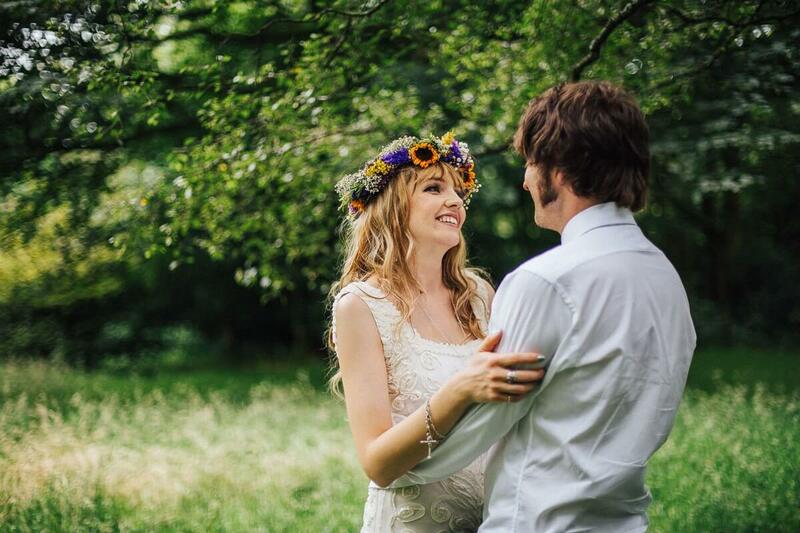 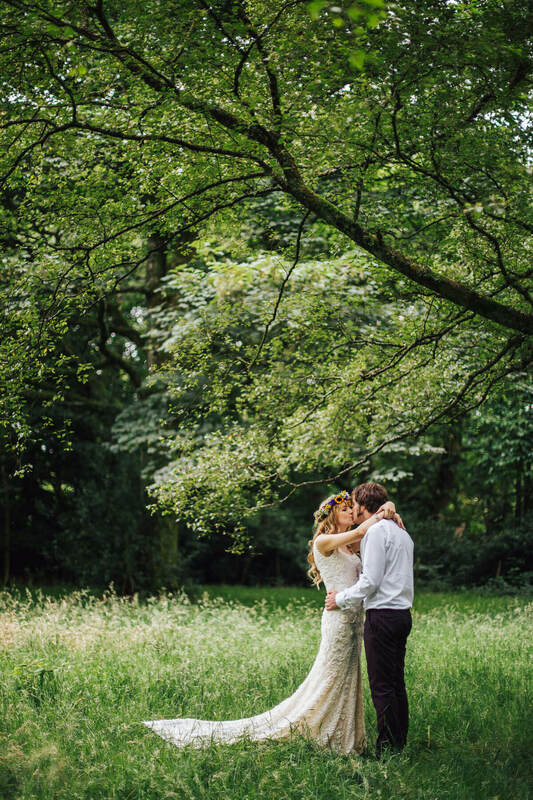 Surrounded by gardens and woodland, there were many opportunities for photos, the perfect setting for a spring wedding. 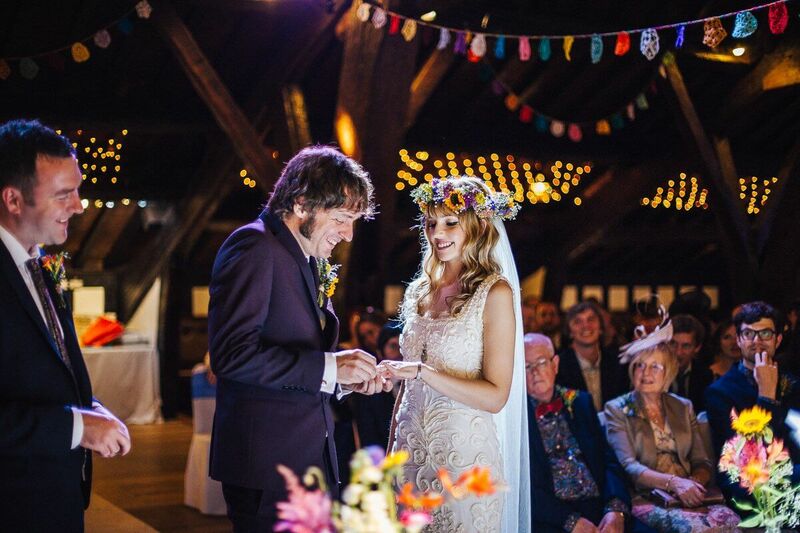 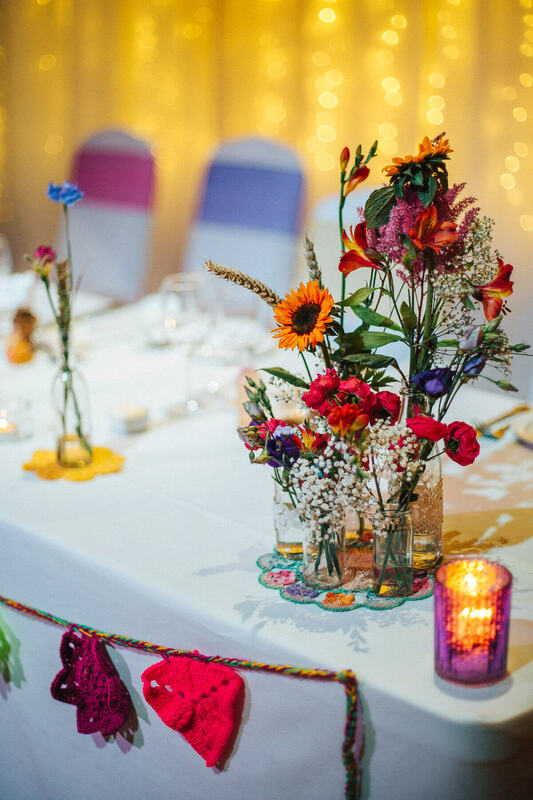 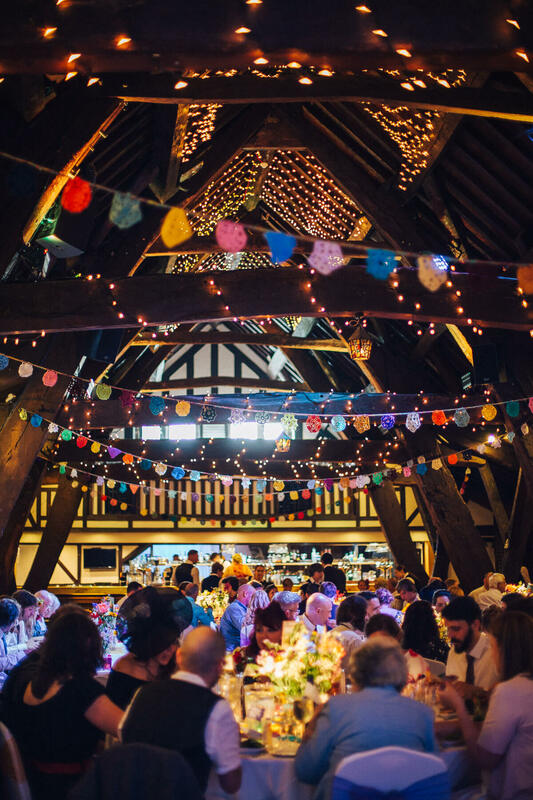 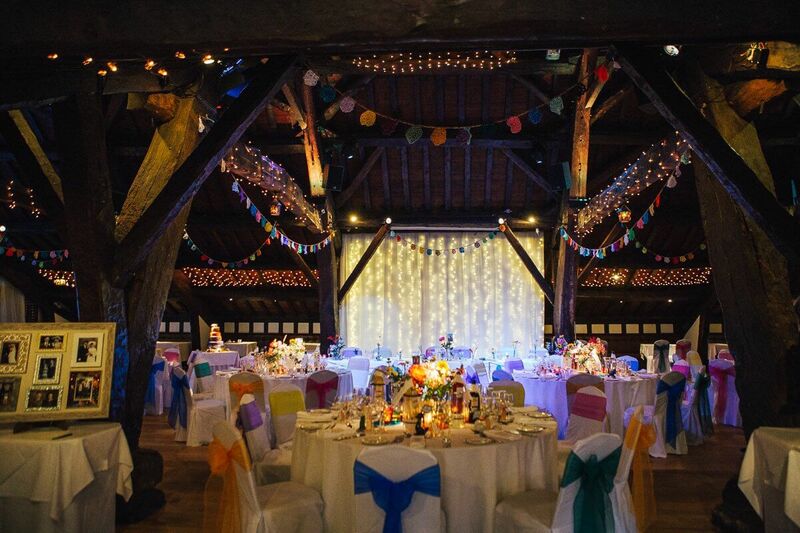 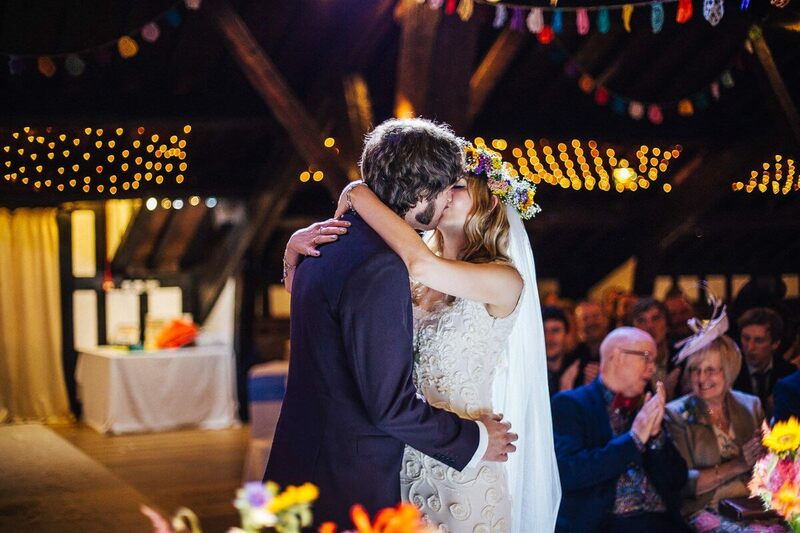 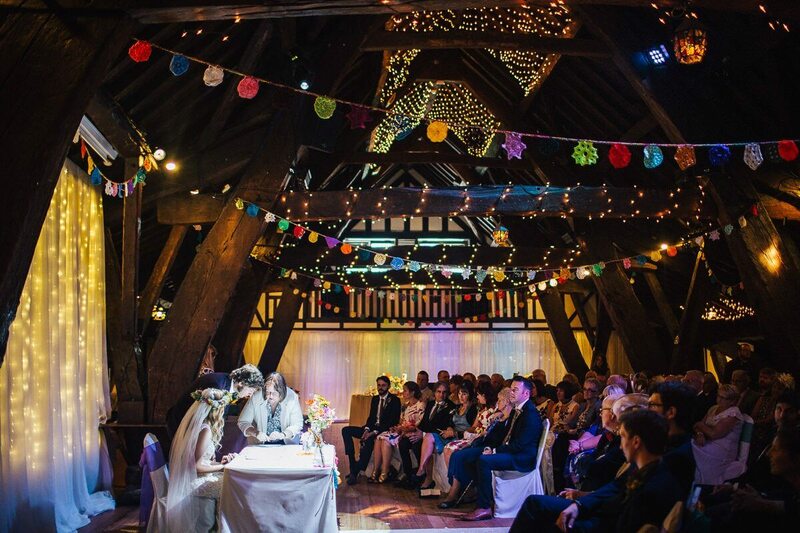 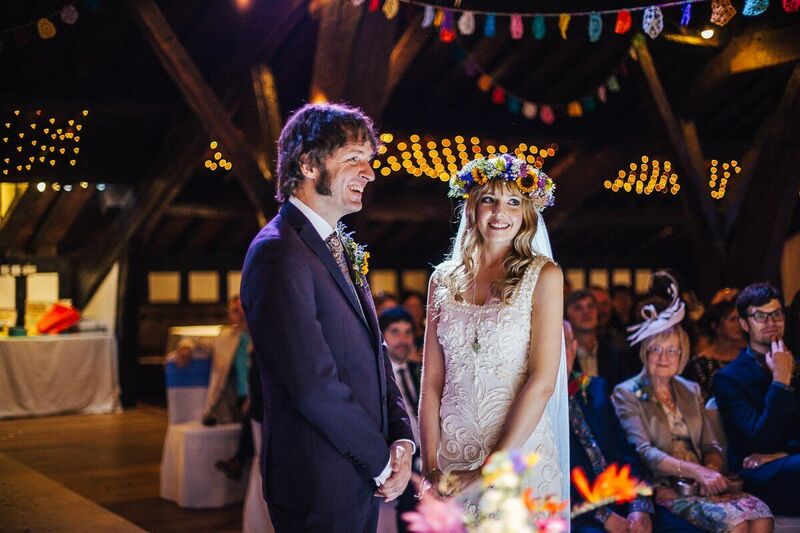 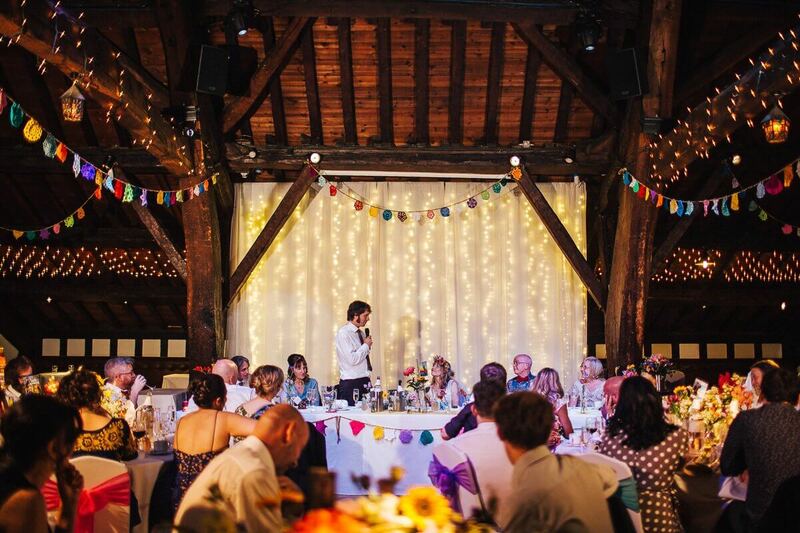 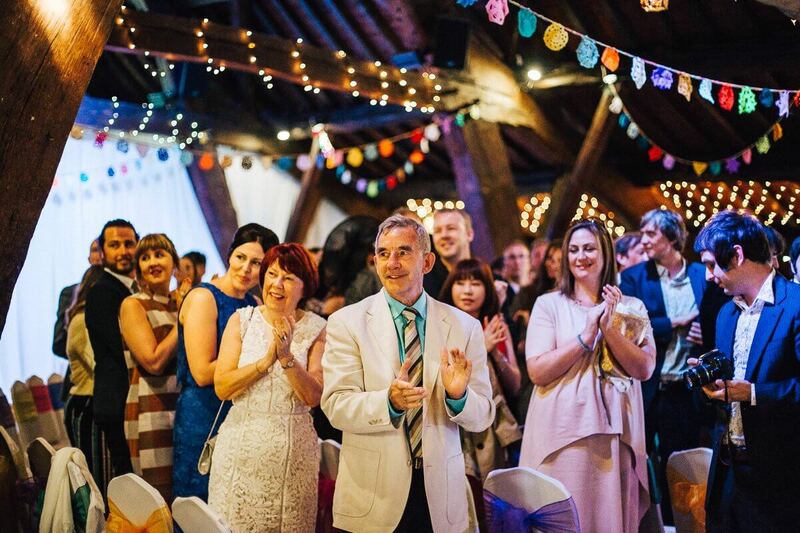 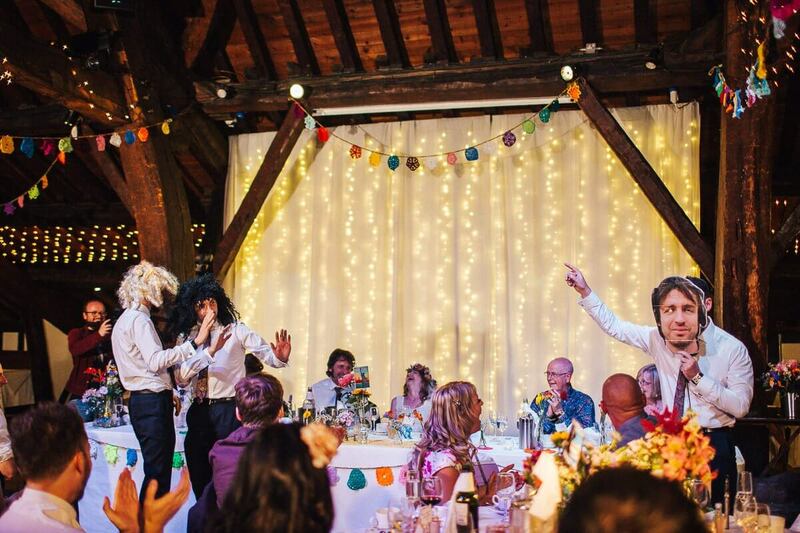 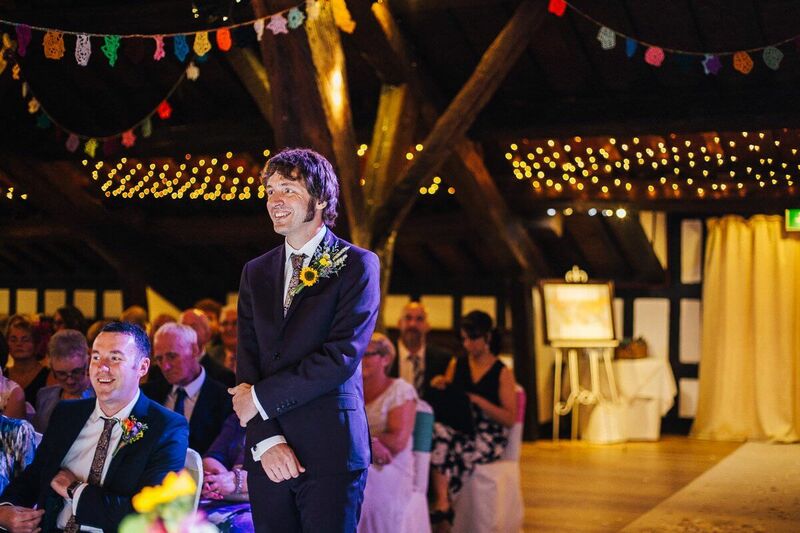 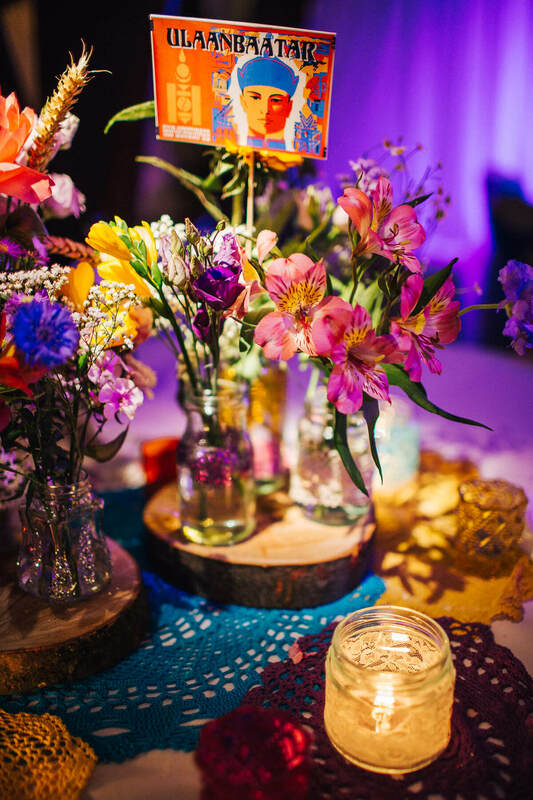 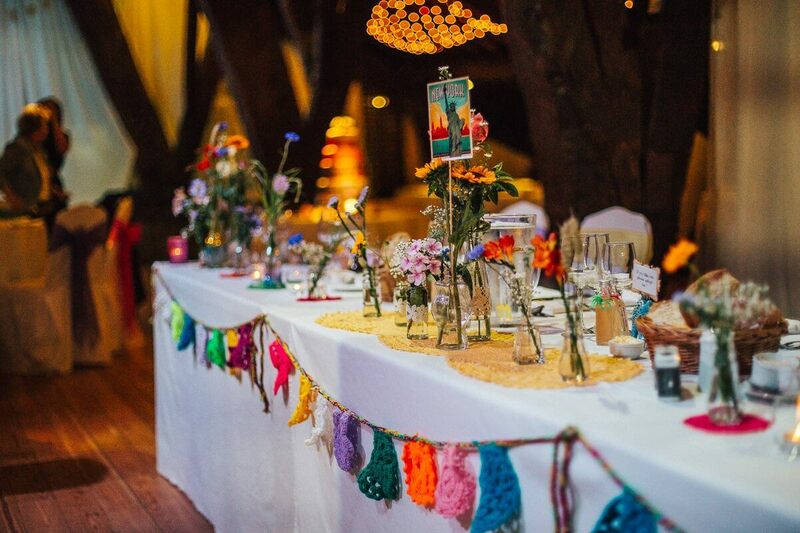 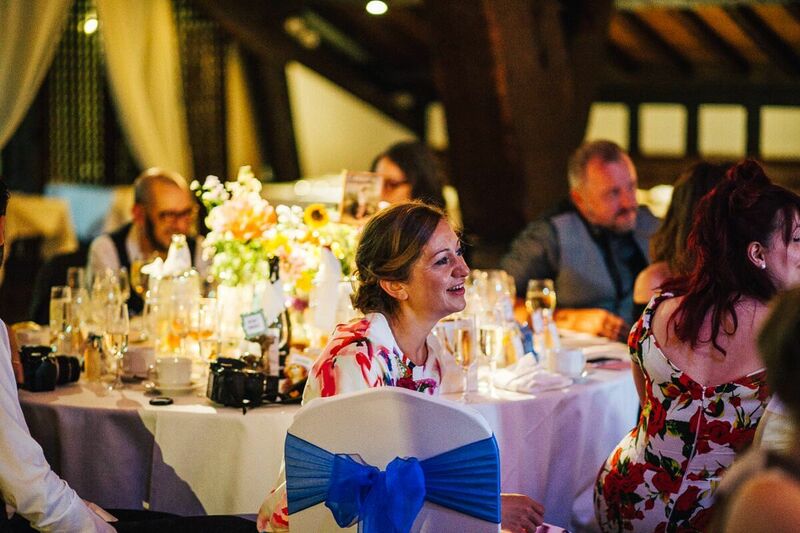 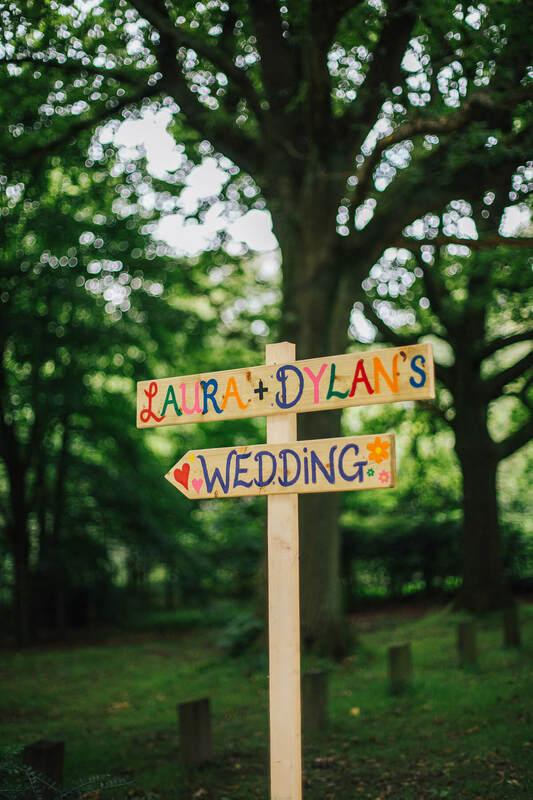 Indoors, the wooded beams were decorated with crocheted bunting, handmade by Laura’s Mum, with tables full of vintage trinkets and fresh flowers. 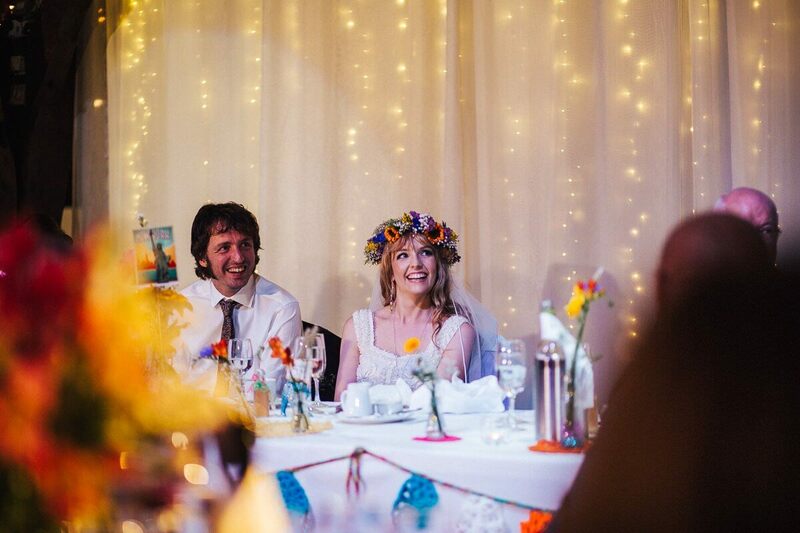 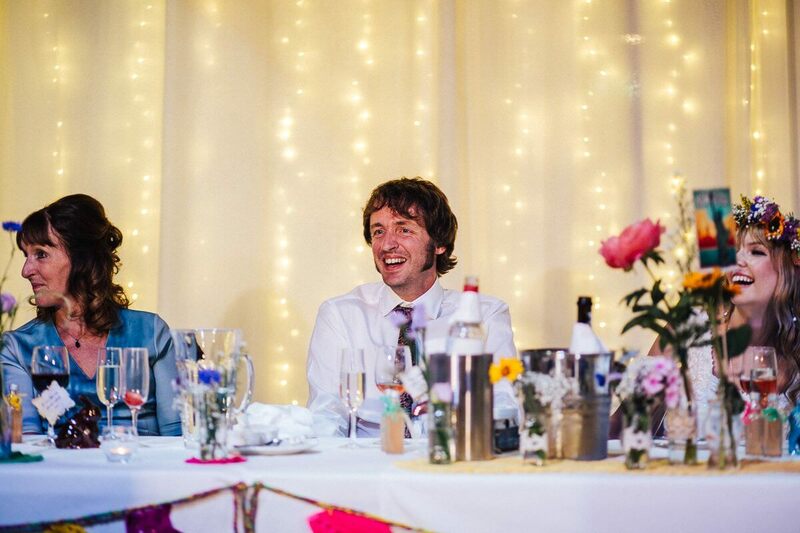 Making use of her skills, Laura even designed her own wedding stationary featuring a portrait of the couple. 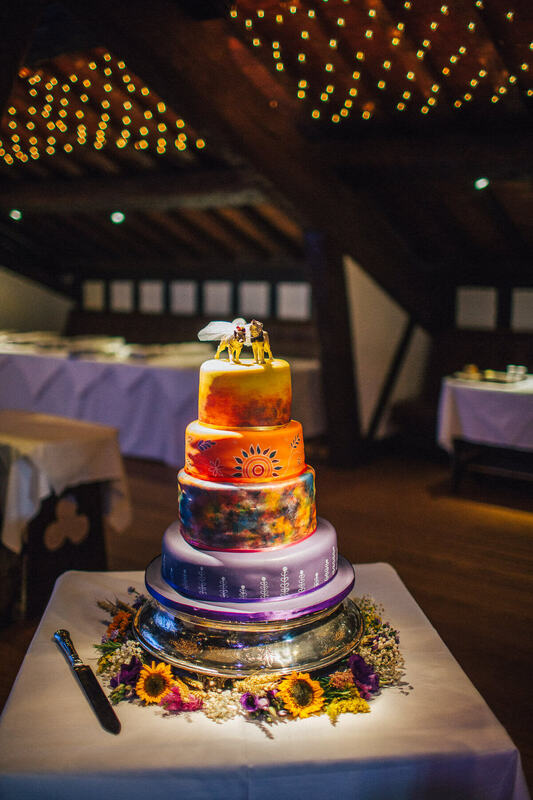 Even the cake, created by Sweet Surrender Cakes, was then hand painted by Laura and finished with a pair of married wolves. 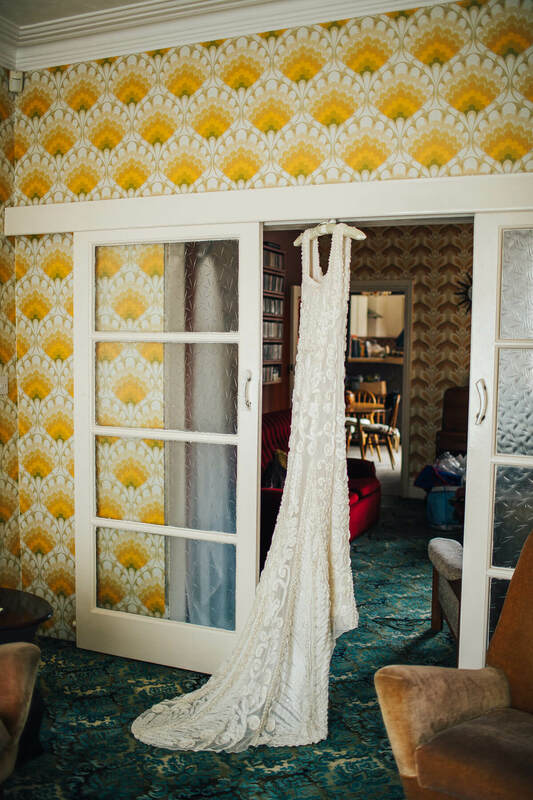 The room was breathtaking and so unique. 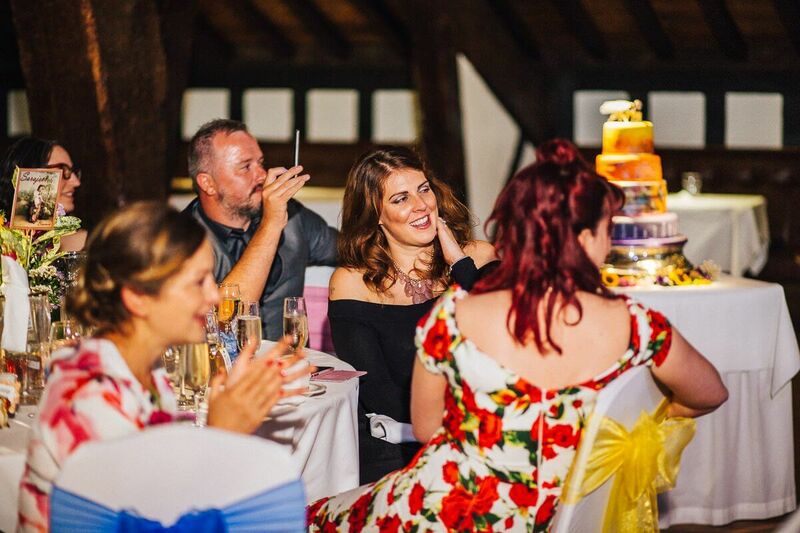 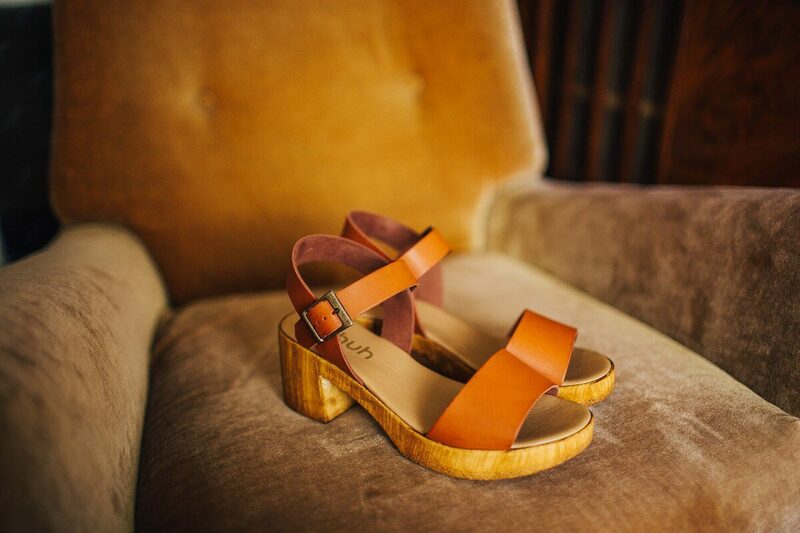 Laura looked every inch of bohemian wearing a Phase Eight dress and block wedges. 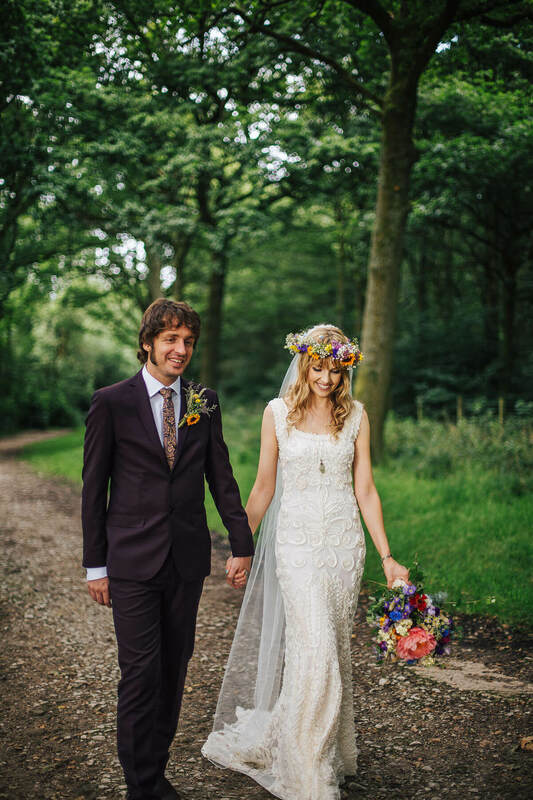 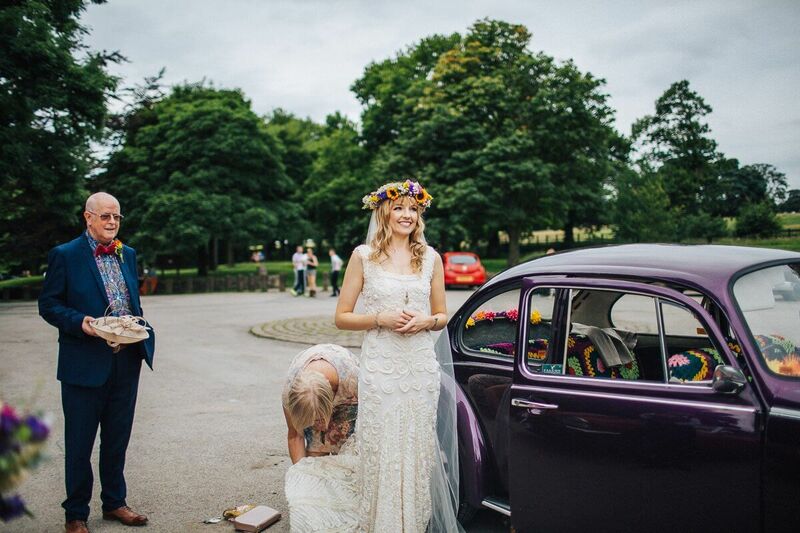 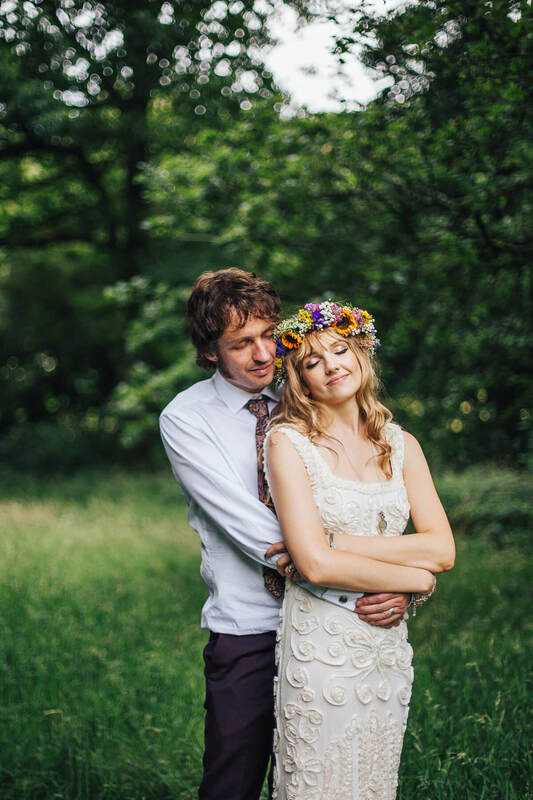 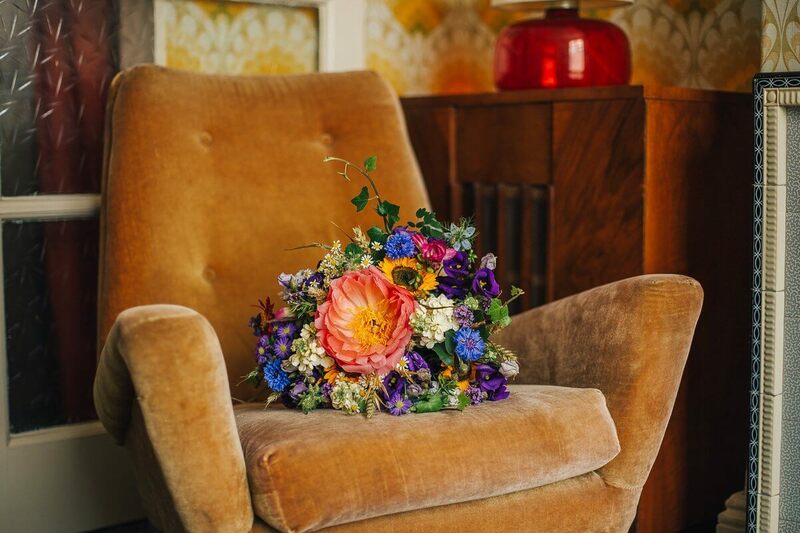 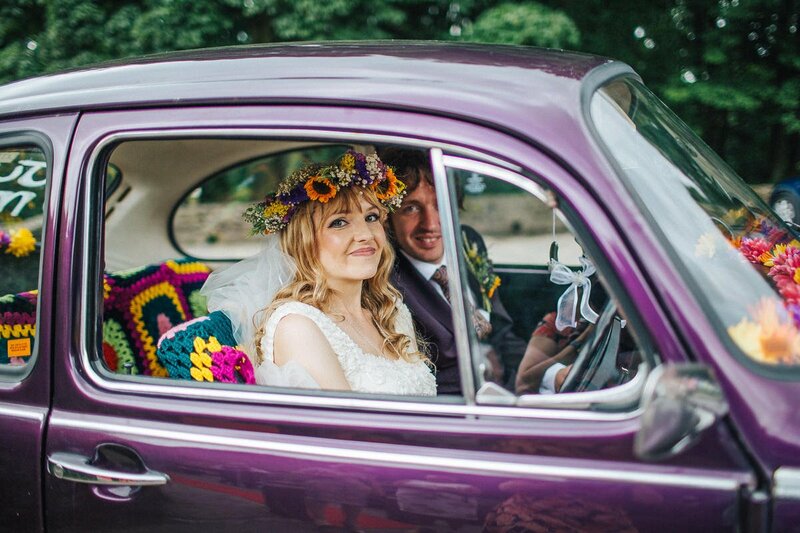 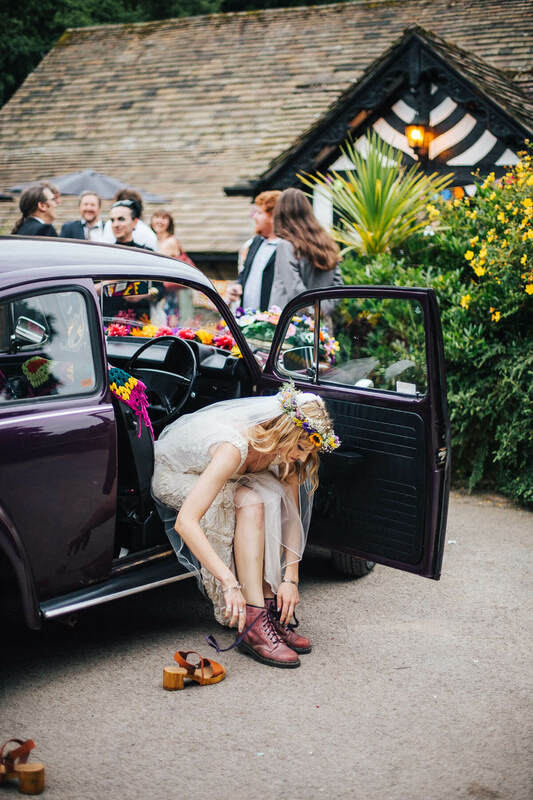 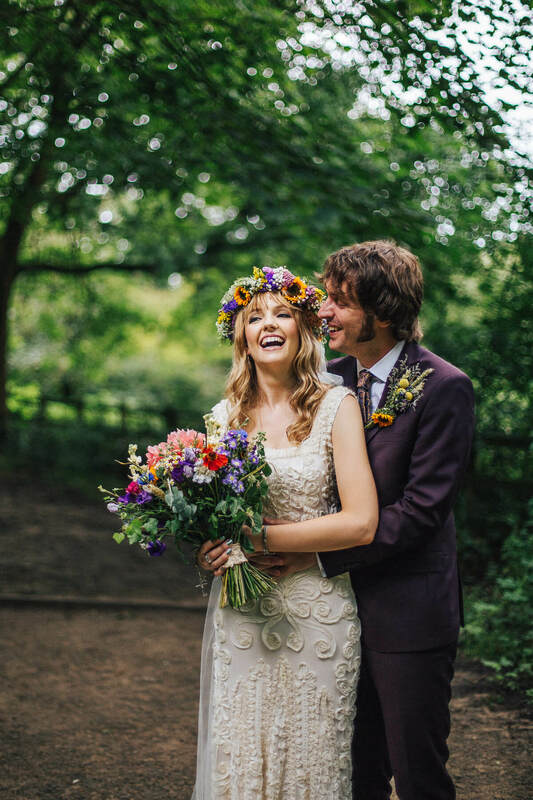 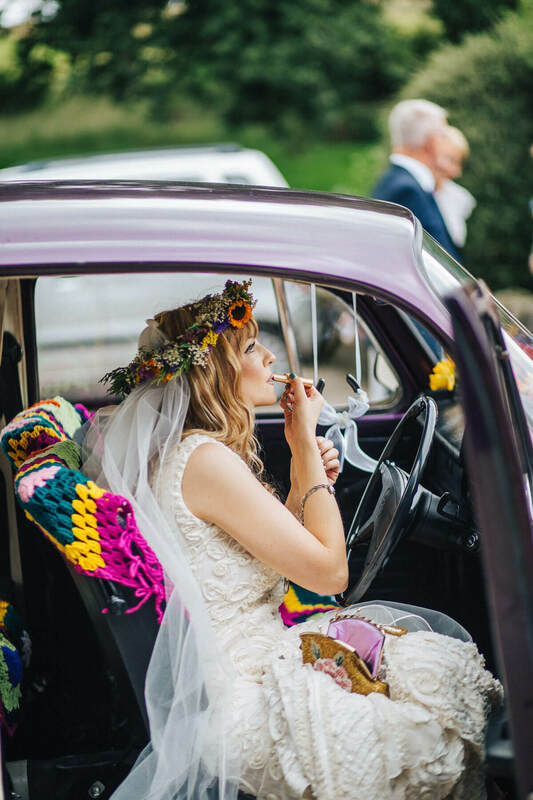 She finished her look with a flower crown and colourful bouquet from Great British Florist. 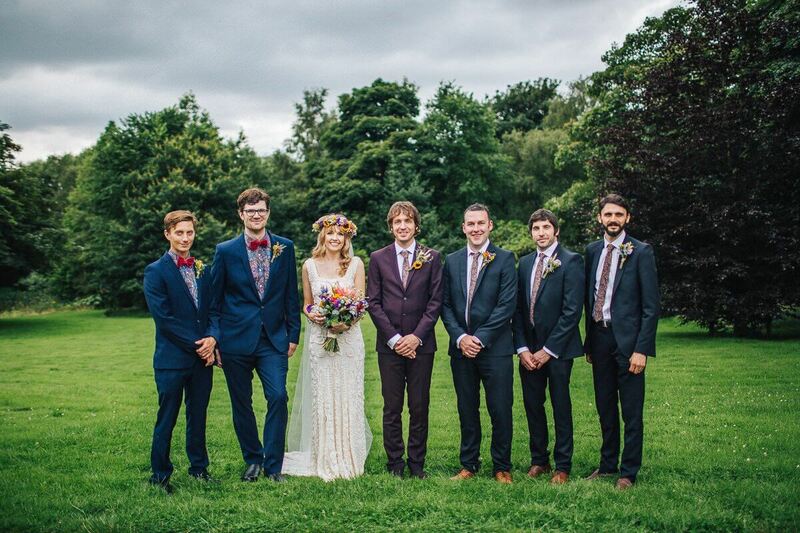 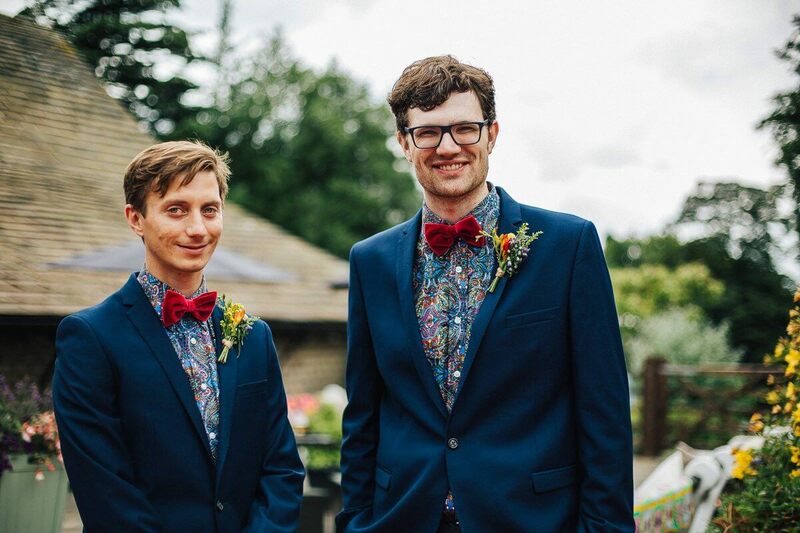 Dylan wore a tailored suit from Moss Bros with the groomsmen wearing matching ties, which really fit into their theme. 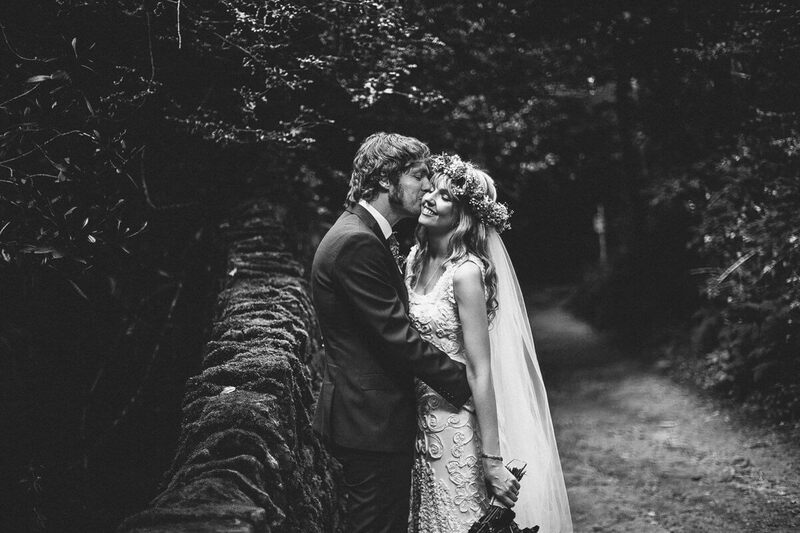 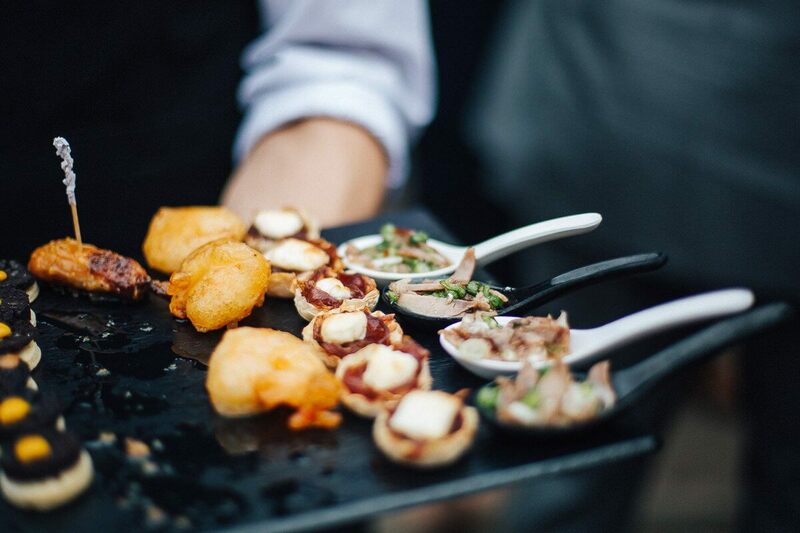 Love my photography and would like to chat further about your own wedding? 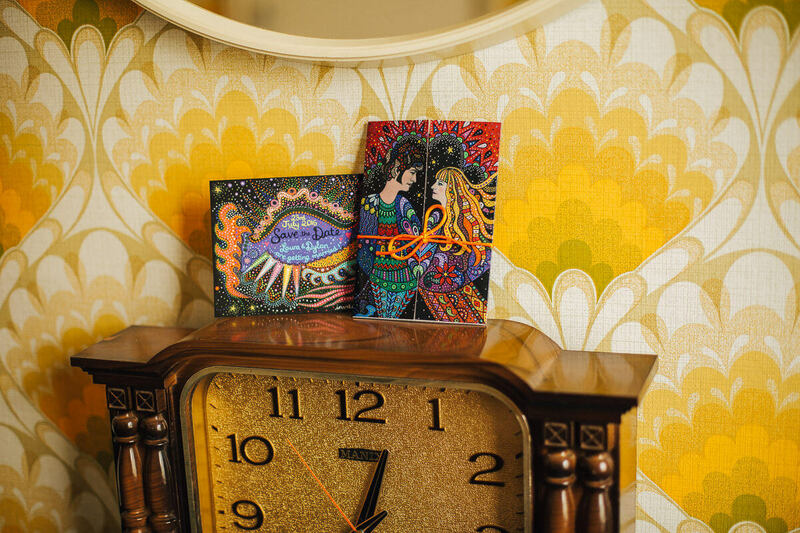 You can use my contact form to request a brochure.